Hello! I’m Lauren. I’d like to tell you a little about myself. When I’m not running my small business, nursing patients or riding my horse, I’m LAB’s new resident blogger! I’ll be writing a weekly post and hope to cover a variety of topics. I’m Alana’s big sister, but you’ll find no false claims of miracles in this post, or anything other than an honest story of my experience and why I encourage others to try fermented foods. For someone who works in nursing, I am not the best advocate for a healthy lifestyle. I am overweight, never get enough sleep and burn the candle at both ends far too often. I am a keen equestrian and am lucky enough to own a horse, which keeps me very active (you’ll know what I mean if you’ve ever mucked out a stable at 5am). I am always on my feet. Always, excepting when I am unwell. I have Endometriosis, a chronic condition in which cells alike to those found in the lining of the womb are found elsewhere in the body. This can cause pain, heavy bleeding, inflammation, fatigue, bladder and bowel problems and infertility. I was only 9 when I started my period, and suffered with severe pain and heavy bleeding almost from the onset. It got progressively worse as I entered my teens, and I was taken to the doctor countless times to try and find a suitable treatment. At 14 I was put on the contraceptive pill in an attempt to stabilise my ‘painful periods’, my diagnosis at that point. I was told that this was my lot and that I had to make the best of it. The contraceptive pill regulated my symptoms but I continued to struggle with excruciating pain, fainting, vomiting and spending days in bed. I tried hot water bottles and heat pads, pain killers and gentle exercise, until at last I was referred to a gynaecologist when I was 17. After surgery when I was 18, I was finally diagnosed with Endometriosis. Fast forward nearly 13 years, more surgeries, tests, scans, tablets etc, and I was in less severe pain, but now it was constant. As far as western medicine was concerned, that was as good as I was going to get. Enter Alana, with her new ‘food craze’. As a bit of a foodie, I’ve never been one to decline trying new food and drink. When Alana asked me to try some fermented beetroot Kvass, I though little of it in terms of health benefits and simply enjoyed it for the flavour. Alana also gave me a huge jar of fermented aubergines to take home. They were DELICIOUS. I couldn’t help eating some every day. Thanks to Endometriosis, I had been taking anti depressants for two years to treat depression and anxiety. Four weeks into my fermented aubergine addiction I realised I hadn’t taken an anti depressant for the whole of that time. I’ve never been the best at remembering to take tablets, and often forgot for days at a time with horrible side effects. You should always stop these types of medications gradually, but I hadn’t even noticed this time. No withdrawal symptoms whatsoever. I felt liberated. Then I realised I had more energy. My skin looked better. I felt MUCH less anxious. Hold on. Was I in pain? NO. I had had more than three days without pain. That’s something that hadn’t happened for as long as I could remember. The one and only thing I’d changed was the daily ‘dose’ of fermented aubergine! Now, I have pain free days. It’s not a miracle cure (I’m working on it! ), but it’s a VAST improvement. I didn’t need to restart the anti depressants, either. Is it a coincidence that the gut is the largest (80-90%) storage facility in the body for Serotonin (a natural anti depressant and mood stimulator)? I don’t think it can be. I’ve researched the link between gut health and Endometriosis, too. It’s science. 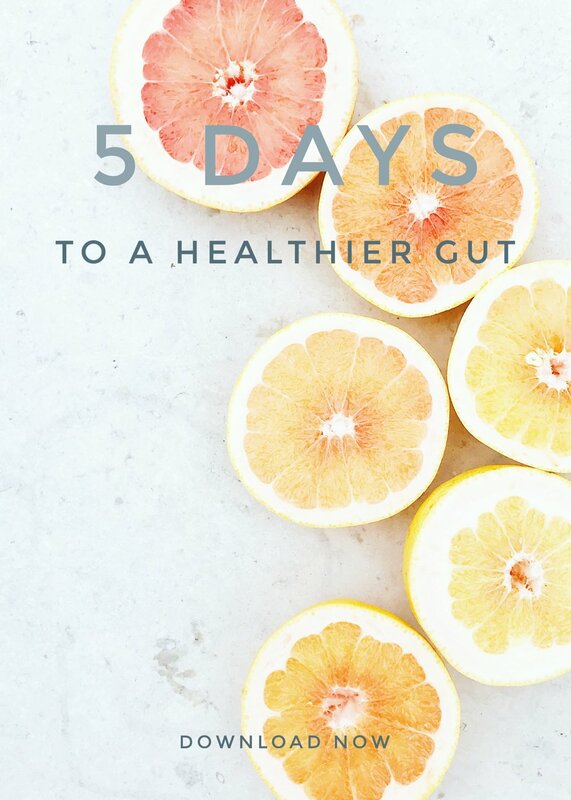 Since our gut is responsible for around 80% of our immune system too, it shouldn’t have come as a surprise to me that addressing my own gut health would help treat my Endometriosis and depression. They’re both conditions which are shown to be related to a leaky or inflamed gut. We can look after our gut health by introducing probiotics as part of a healthy diet. As a quick reference, here’s a few ways in which probiotics can help reduce inflammation in the body. - Reintroduce good bacteria (When good bacteria are absent, bad bacteria set up an inflammatory response in the body). - Kill (and inhibit the growth of) pathogens. - Help to balance oestrogen levels by fighting the unfriendly bacteria which break the glucuronic acid bonds made by the liver. The liver does this to excrete excess oestrogen, which is known to cause inflammation, depression, anxiety and a wide range of hormone related illness. Probiotics are a great way to introduce ‘good’ bacteria into your gut, thus improving your gut health. What could be better than a probiotic that occurs naturally in food? I now drink Kefir like it’s going out of fashion and have a serving of fermented food at least once a day. My body reminds me when I’ve forgotten as I’ll be in pain within hours, and it’ll be difficult to get under control. I strive towards an overhaul of my lifestyle (less chocolate and cake, more cycling and cucumber!) but I feel I’ve now made a promising start. Please let us know (by commenting below or sending us an email) if there’s something you’d like to read about in upcoming posts, we’d love to hear your suggestions.